A fancy garden party goes terribly wrong after a local species of wasps mutate into giant predators. It's up to Paul (Matt O’Leary, Mother’s Day, The Lone Ranger) and Julia (Jessica Cook, Awkward), two catering staffers at the high-society event, to stop the killer creatures: an effort that kickstarts a budding romance between the two. 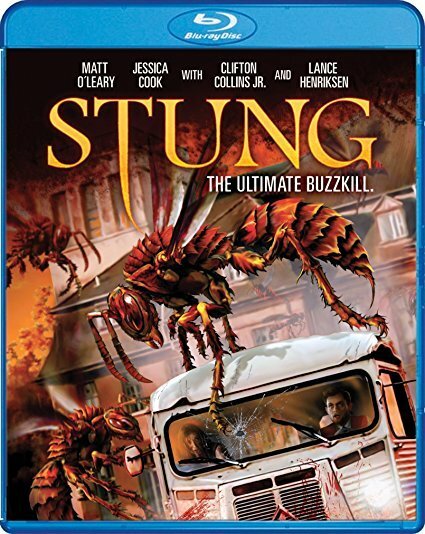 This buzzingly fun thriller also stars Lance Henriksen (Aliens, Pumpkinhead) and Clifton Collins Jr. (Pacific Rim, Transcendence).